Win a trip to Extra Life United 2019! 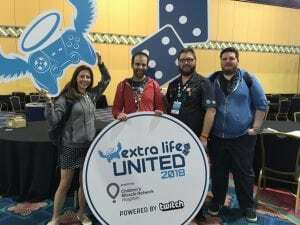 Extra Life United (ELU) is an annual event that brings Extra Lifers from around the world together in Orlando, Florida for fun and games, competition, and community. Check out photos and clips from the 2018 event here or read the story from Zeke, Justin and Rob- our BBCH EL gamers who attended ELU this year. One registration will be offered to the Extra Lifer who raises the most money on behalf of BBCH in 2018. The winner of the 2nd registration will be randomly drawn from the pool of gamers who raise $300 or more for BBCH. In addition to your registration, BBCH will also cover the cost of your hotel stay (3 nights maximum). Airfare will be the responsibility of each individual gamer. Winner must be at least 18 years of age to win or be accompanied by a legal guardian at their own expense. 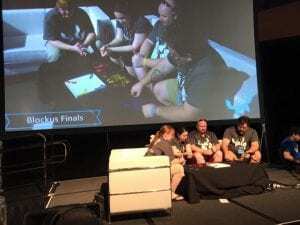 The fundraising deadline to be in the running for the 2019 Extra Life United trip is November 30th, 2018. Only funds that have been turned in will be counted toward your total (no offline pledged funds will be counted). If you have any questions about this fundraising contest please contact Kate Richardson. ELU 2017… can you spot Jamison?